Sunlight and Vitamin D: How Much is Enough? By Daniel Greene - Lifestyles Editor · April 11th, 2019 at 3:43 p.m. While sunlight is essential for vitamin D production, you might be surprised at just how little is necessary for optimal health. Living in the Okanagan means living in one of the warmest regions in Canada. Come spring and summer, tourists from around the world flock to our clean lakes and beautiful beaches to bask in the sun. But for locals, all those hours of intense sunlight can come at a cost, including higher instances of skin cancers such as melanoma. But while rates of skin cancer increase with increased sun exposure, research shows that sunlight is vital for the body’s natural production of vitamin D. In fact, many other diseases, such as colon and breast cancer, are actually related to vitamin D deficiency, making a balance of sun protection and exposure an important aspect of healthy living. But exactly how much sun exposure is enough? At what point does sun exposure become detrimental to one’s health? These are questions that have been debated by scientists for years. And unfortunately, it is a problem that cannot be solved by simply skipping the sun altogether and taking vitamin D supplements instead. Only a small percentage of our body’s required vitamin D can be obtained through the foods we eat, meaning that a large portion must be “photosynthesized” in the skin by sunlight. But generally speaking, there are a few ways that individuals living in northern latitudes can strike a healthy balance between sufficient vitamin D production and healthy sun protection. Throughout the spring, summer, and fall, individuals can achieve healthy vitamin D production by exposing approximately 18 percent of their body to the sun about three times a week for about five minutes (source). 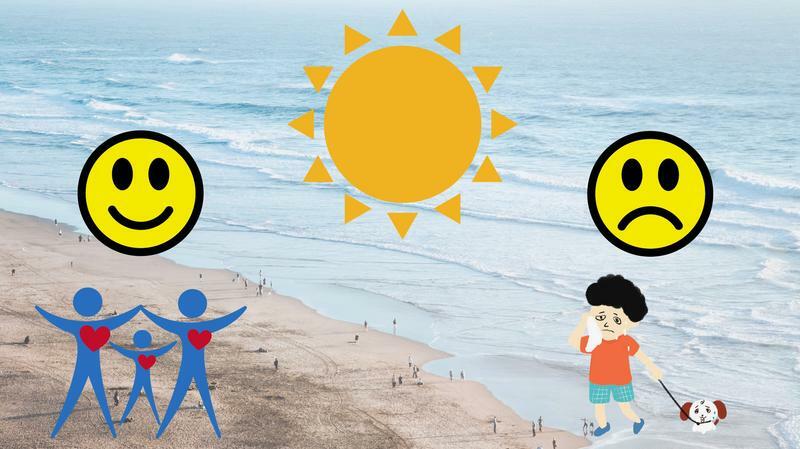 Far from prescribing hours of lounging on the beach, this research suggests exposing merely the equivalent of one’s hands, arms, and face, and then applying a hat, sunglasses, and sunscreen for the remainder of the day. What’s more, the research suggests short but frequent exposures rather than extended stays in the sun, citing previous evidence that the skin may be better able to repair any damage if exposed for a shorter duration. While this research proves helpful in creating an actionable prescription for healthy sun exposure, the researchers themselves admit that there are challenges involved in recommending any amount of sun exposure to the general public. Factors such as skin colour, genetics, and geography all play a role in determining healthy levels of sun exposure, meaning what may be healthy for some could be dangerous for others. Regardless, one thing is certain: frequent and extended periods of time spent in the sun is not necessary for sufficient vitamin D production, so cover up. It could be a long, hot summer. April 14th, 2019 at 11:04 a.m.
Why Do We Watch Sunsets? April 12th, 2019 at 5:38 p.m.
April 9th, 2019 at 10:50 a.m.